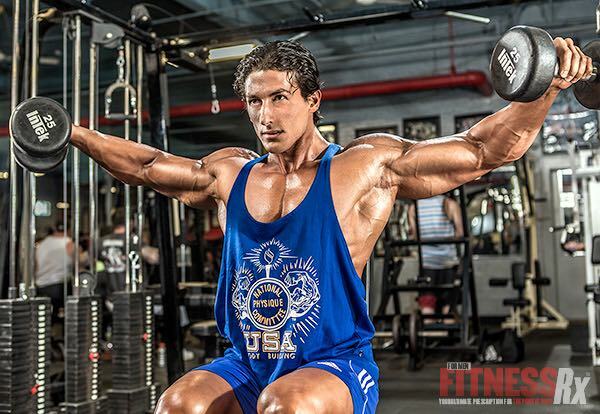 Sadik Hadzovic has quickly made a name for himself as one of the top competitors in the IFBB’s Men’s Physique division. 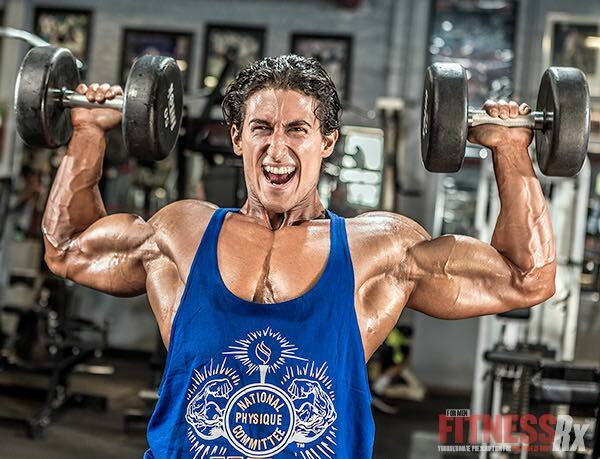 One of the staples of his world-class physique? 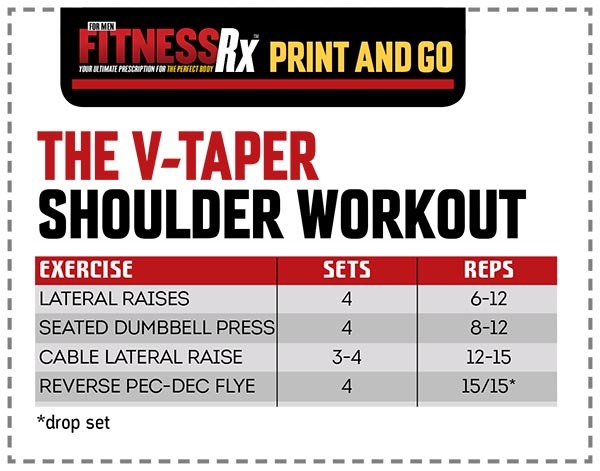 Wide, round shoulders, one of the most important areas of focus for anyone training to build the ultimate v-taper physique. Every delt workout begins and ends with the same movement and Hadzovic alternates between doing them seated and standing. As a warm-up, he will use 30-pound dumbbells for 12 reps and move up 10 pounds each set, finishing up with 60s for six reps. And then at the end of the day, he will do the opposite— start off heavier and work his way down the dumbbell rack. “When you do them seated, it’s more isolated. So if it’s efficiency you’re looking for, that’s the way to go,” he adds. Since he trains without a partner, Hadzovic prefers using dumbbells over a barbell for this movement, one in which he uses 45s, 70s, 90s and then back to the 70s. This isolation movement can be done two different ways and Hadzovic takes advantage of both. He prefers to do them with the cable behind his body, which gives him a longer range of motion and is a more natural position to activate the medial deltoid. By switching the cable position and doing them in front of your body, you will hit more of the front delt.